Tower defense fans, listen up because the game we've reviewed for you might spark your curiosity. 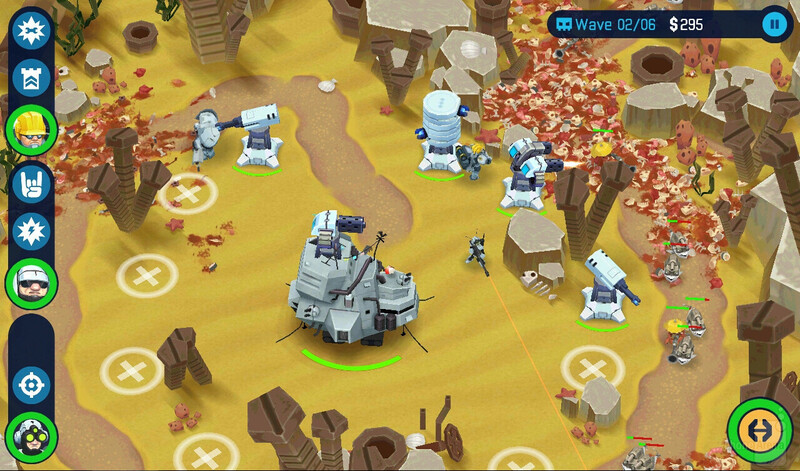 It is called OTTTD, short for "Over the top tower defense", and it is a brand new arrival at the Play Store. Long story short, it is a TD game at its core, but spiced up with a twist of RPG and RTS elements – players defend their base using both strategically placed towers and a group of heroes that develop skills as they gain experience. Has this mash-up of game genres produced a win or a fail? OTTTD starts off with a brief introduction of the rather shallow plot. The year is 2317, and honest soldiers can't earn a decent living anymore. The solution, as figured out by the smart guys of the 24th century, is to send these jobless soldiers on a mission to preemptively blast a bunch of aliens into pieces. This is where the fun, and by fun we mean shooting at any moving object in sight, begins. 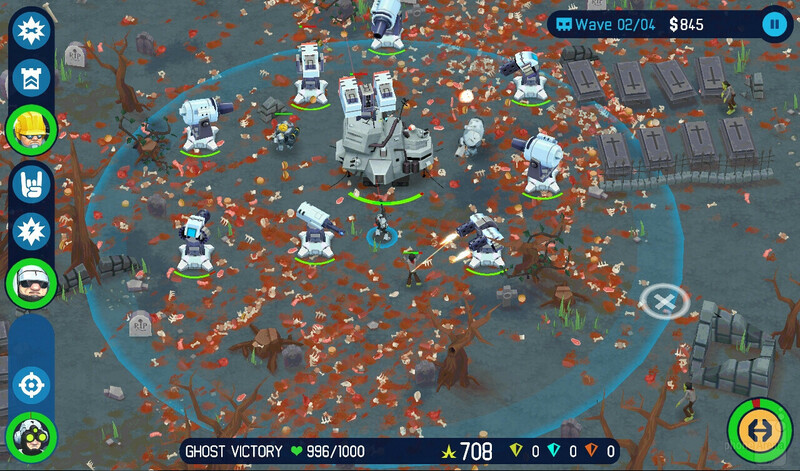 The game's straight-to-the-point tutorial presents OTTTD's mechanics well, so even a tower defense newbie should be able to get the hang of it quickly. Then the player gets thrown into a series of short, but challenging missions. And when we say that they are challenging, we mean it. In fact, we had to replay some of the first stages just because we underestimated the game's difficulty. 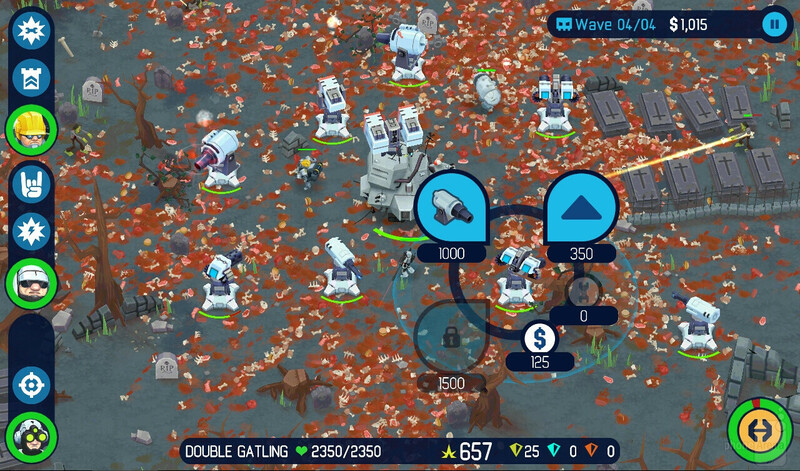 Turned out that spending resources on new towers and tower upgrades was essential for clearing the stage, as was the tactical placement of the chosen heroes. As a whole, the game is well balanced – neither too easy, nor too difficult. OTTTD has several heroes that are unlocked as the game progresses, and each has its own unique attacks, stats, and abilities. For example, the Engineer is a unit that deals weak damage, but it is best suited for repairing damaged towers; the Recon has a slow rate of fire, but an extremely long firing range. 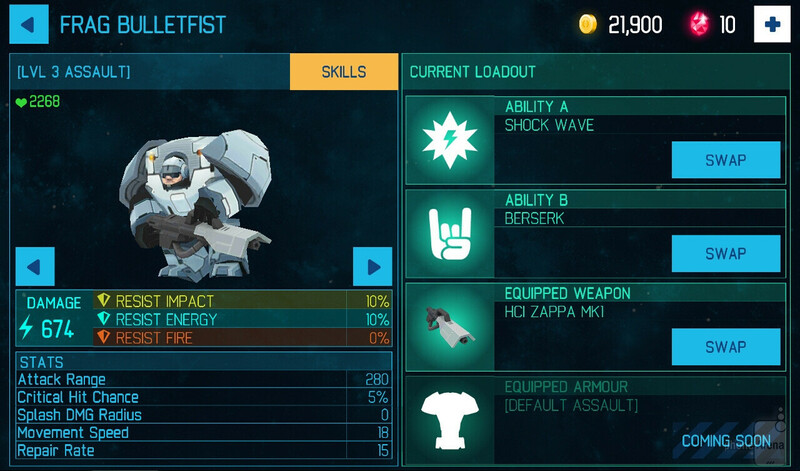 Further skills can be unlocked and developed as the heroes gain experience, while money can be spent on new weapons and armor. However, you're limited to using only three heroes at a time. This is where your strategic skills will have to come into play. You'll have to pick wisely and use those heroes you find most effective during battle. You'll also have to choose the best skills to develop as skill points are scarce. Unless you choose to farm XP by replaying stages, that is. This multitude of possibilities for mixing and matching heroes and skills also adds welcome variety to the game. Towers in OTTTD are just as important as the heroes that you pick. They come in many shapes and sizes, from rapid gatling guns and pulse cannons to slow, yet devastating rocket towers and drones that seek out enemies automatically. Again, it is your task to figure out in which part of the stage a given tower type is most effective, and whether it is better to invest in new towers, or in upgrades for the existing ones. Then there are the hordes of insanely wacky enemies. Gigantic teddy bears and octopi on choppers are not exactly what one would imagine when they think of alien life forms, but we're okay with the game's comic style. Different monsters have different strengths and weaknesses, which make them resistant to some types of towers and vulnerable to others. That enemies can attack both heroes and towers makes the game extra challenging, and we're definitely not complaining. Oddly enough, OTTTD gives us the option to buy game coins using real money. The good thing is that we never felt like doing so was required. Cash is generated fast enough as the player progresses, and for those who want the coolest weapons really bad, but for free, there's always the option to replay a stage or two. 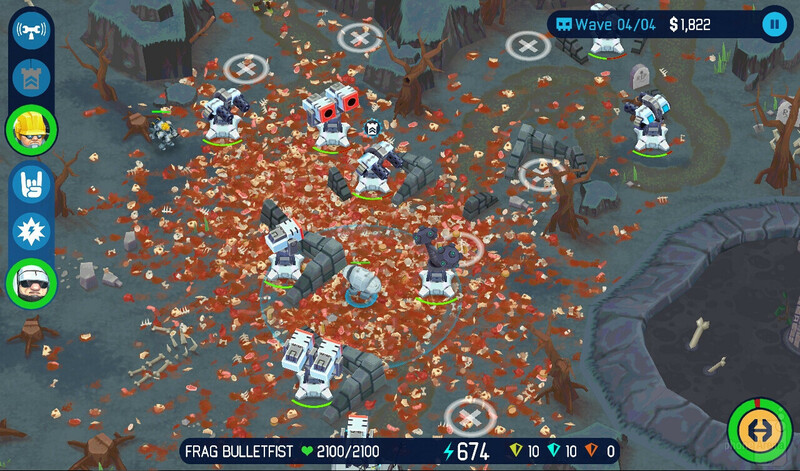 Overall, OTTTD is a pretty fun tower defense game, and the addition of an RPG twist to it has worked out just fine. At this time, our only complaint would be that the game is rather short – an experienced gamer should have no troubles clearing its 20 stages in a couple of days. But with new levels and game modes in the making, we're confident that the game's developers will polish their gem even further. Our review is based on version 1.0.6 of the game. Can I have the link please. ?